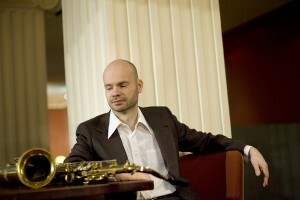 The tenor saxophonist Joonatan Rautio (b. 1973) is well known for his virtuosity and his soloistic strength and vitality. His musical background is firmly rooted in the jazz tradition. Joonatan Rautio makes a strong statement, both rhythmically and harmonically.